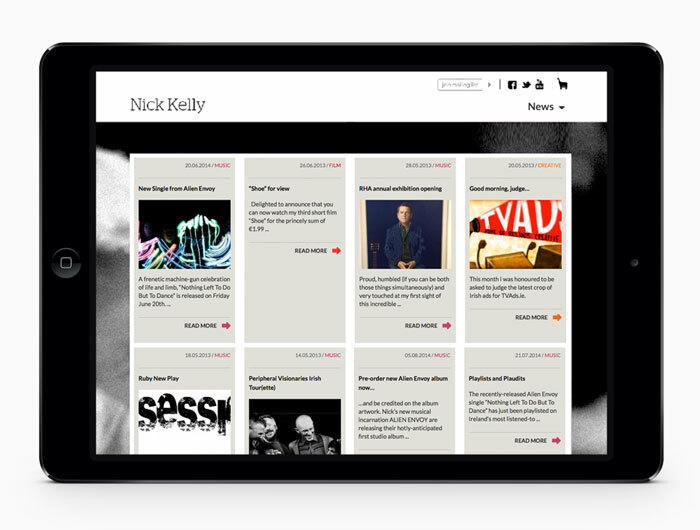 Nick Kelly is a well known Irish creative. An award winning singer and songwriter, he is also one of Ireland's leading copywriters and directors. A big personality, he required a site to demonstrate his prowess across the three disciplines in an aesthetically pleasing manner. Dramatic background images were taken from Nick's album covers and ads and given a gritty treatment. Colour coding distinguish three specialist areas. 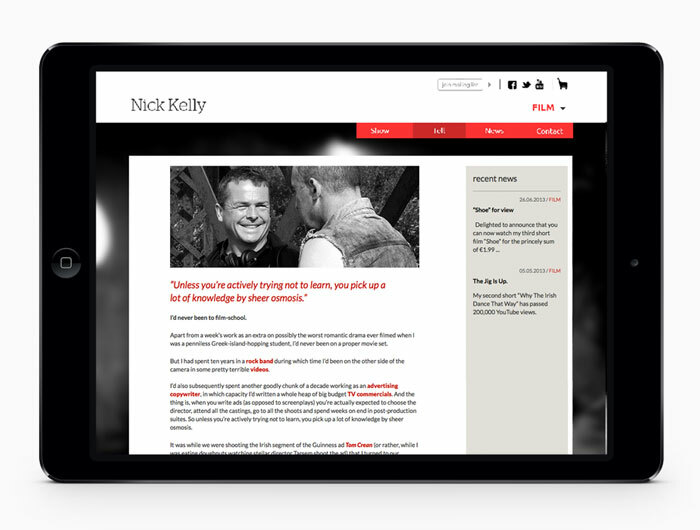 Nick provided concise copy and powerful quotes to be highlighted across the site. A vocal and social guy, Nick's news page was important to ensure his fans are alway kept up to date with upcoming gigs and short movie releases. 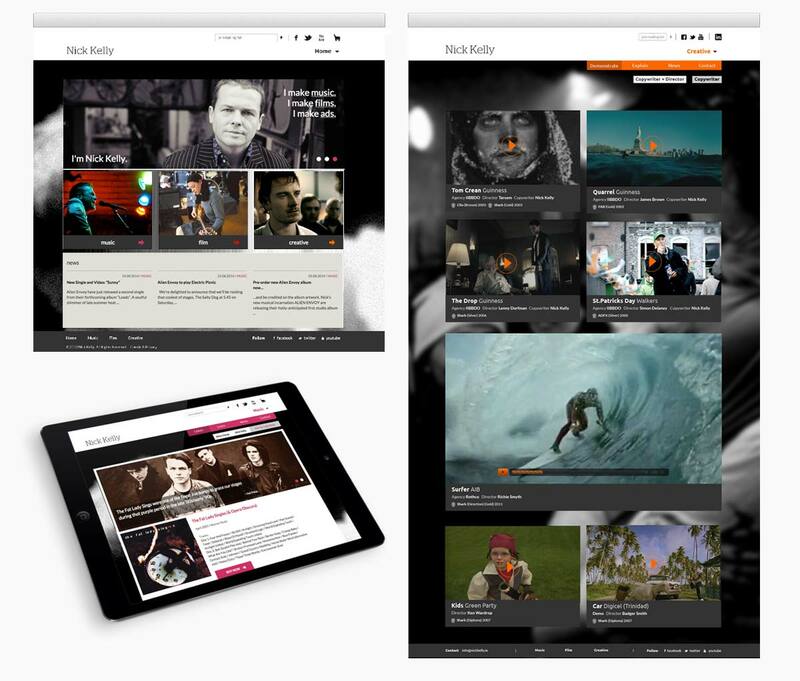 A sidebar is in place across all pages of the site displaying latest news to complement the dedicated news page. Each section contains an about page describing how Nick ended up working in each disipline along with some enjoyable anecdotes of his journey along the way.